Q. 1. Who is the only self-existent Being? A. God is the only self-existent Being. Q. 2. Ought everyone to believe that there is a God? A. Everyone ought to believe that there is a God, and it is their great sin and folly who do not. Q. 3. How may we know that there is a God? A. The works of creation and providence plainly declare that there is a God, but His Word and Spirit only do it effectually to the salvation of His people. Q. 4. What is the Word of God? On Friday, 21st March 2014, Dr. Matthew Hyde delivered the annual lecture for the Strict Baptist Historical Society at Bethesda Chapel. After the lecture, he and I shared a brief exchange on the subject of high-calvinism and nineteenth-century Strict Baptist pastors. Since one of these pastors, John Hazelton, had been connected with the church that I pastor, his name naturally came up. Subsequent to our chat, Dr. Hyde graciously gave me one of his copies of William Styles’, “John Hazelton: A Memoir”. First, the life and ministry of John Hazelton is worth knowing because he was one of the leading Baptist ministers in the city of London during the nineteenth-century. Second, the life and ministry of John Hazelton is worth knowing because he is among a gallant group of Baptist ministers who tenaciously subscribed to a high view of Sovereign Grace. 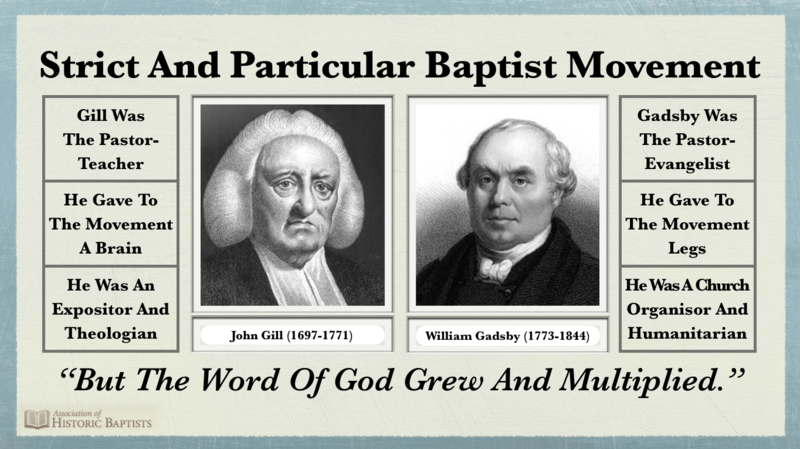 Third, the life and ministry of John Hazelton is worth knowing because he has much to teach this generation of professing Christians who like to call themselves Reformed Baptists. The following chapters have been mainly compiled from materials supplied to the Author from various sources. His task has, therefore, to a great extent, resembled that of one who binds together into a bouquet, a number of flowers, chosen and culled by others. His special acknowledgments are due to Mr. J. E. Hazelton, without whose laborious and indefatigable help, this Memoir of his beloved father could not have been prepared.